ARES/AUXCOM | Ashe County Amateur Radio Club, Inc. 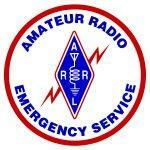 The Amateur Radio Emergency Service, which has developed since 1935, is a part of the AmateurRadio Relay League (ARRL) Field Organization. Today, “The Amateur Radio Emergency Service (ARES) consists of licensed amateurs who have voluntarily registered their qualifications and equipment for communications duty in the public service when disaster strikes. Every licensed amateur, regardless of membership in ARRL or any other local or national organization, is eligible for membership in the ARES. The only qualification, other than the possession of an Amateur Radio license, is a sincere desire to serve. Because ARES is an amateur service, only amateurs are eligible for membership. The possession of emergency-powered equipment is desirable, but is not a requirement for membership”. Completion of certain FEMA National Incident Management System (NIMS) courses is required by the State of North Carolina and the U.S. Department of Homeland Security. All NC AUXCOMM volunteers must complete this training. All radio amateurs operating under the auspices of AUXCOMM in North Carolina are required to complete IS 100, IS 200, IS 700 and IS 800. These courses are internet-based self study and are available free of charge from the FEMA Emergency Management Institute. For more information, please see the NC ARES Section Training Policy.